On May 14, 2017 a lioness of a woman died—and with her death we lost a fierce, passionate and brilliant voice in the feminist environmental and breast cancer movements. That voice belonged to Judy Brady. 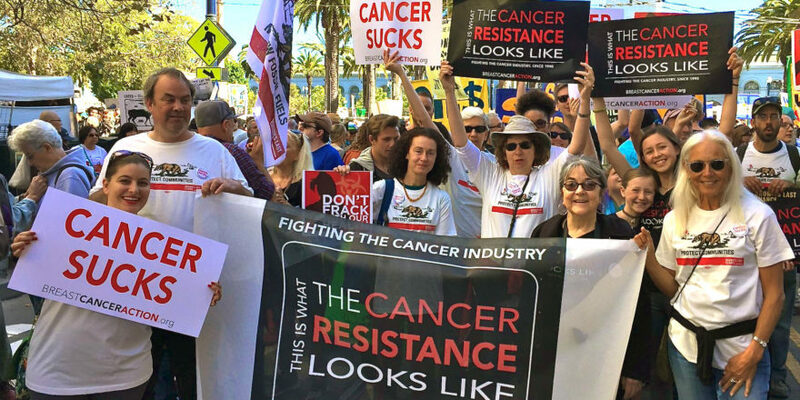 Born in San Francisco, Judy was a writer, editor, mother, environmentalist, breast cancer activist, and a self-described “cancer victim,” a label she used to emphasize the injustice of the cancer industrial complex. She played an active role in the feminist movement of the late 1960s, and was well-known for challenging conventional stereotypes of the “good” wife and mother with her now famous essay “I Want a Wife,” which was first printed in the premiere issue of Ms. Magazine in 1972. She also co-founded San Francisco-based GreenAction for Health and Environmental Justice and published essays in Greenpeace Magazine and Women’s Review of Books. Judy’s life and the history of Breast Cancer Action are intricately intertwined. And it was Judy’s and Barbara Brenner’s (our first Executive Director) work with the Toxic Links Coalition (TLC) that infused Breast Cancer Action with its spirit and uncompromising commitment to health justice. Judy was “…relentless. Relentless in her drive to make a difference, to never stop, never settle, always pushing for a cleaner, more honest, safer world,” according to former Breast Cancer Action Communications Director, Angela Wall. In 1994, Breast Cancer Action was only four years old when we joined with Greenpeace, the West County Toxics Coalition, and the Women’s Cancer Resource Center (WCRC) to form the TLC. The coalition brought together the feminist cancer and environmental movements and is perhaps best known for its Toxic Tour of the Breast Cancer Industry—an annual tour that drove home the message of collective rage against a corporate cancer industry that destroys public health and promotes environmental racism. Judy worked with the TLC to call out the powerful behemoths that were misinforming, misleading and poisoning the public—such as Monsanto, Dow Chemical, PG&E, Chevron. She also went after the American Cancer Society, accusing them of the miseducation of the public, ignoring the importance of prevention, hiding scientific evidence of environmental links to cancer, and climbing into bed with corporate stakeholders. In the early 1990s, the TLC countered the industry’s new obsession with fluff and pink by marching with disturbing images of disfigured women, huge puppets with bloody mastectomies and hands carrying barrels of toxic chemicals, tiny coffins lettered with the names and lifespans of victims, and images of ruptured breast implants. They called attention to the realities of the disease and demanded accountability from the powerful. She was tireless in her drive to save the environment for the sake of public health and justice. A few years ago, at a screening of the documentary, Pink Ribbons, Inc., she made it pointedly clear that we don’t need more research that distracts from what really needs to be done. “We’ve done all the research. We need to end this damn epidemic,” she bellowed. Judy wanted to flat out eliminate toxins from the environment and to reduce cancer everywhere for everyone. 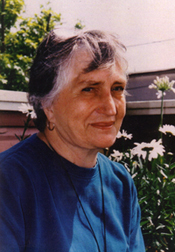 Judy was a powerful voice for the disenfranchised and marginalized. She was tough and sometimes intimidating. She didn’t suffer fools and she didn’t have time for idealism. And she had a heart of gold. That’s why we’re heartbroken by the news of her death. We will, of course, continue to do the work to which Judy and Barbara Brenner tirelessly dedicated their lives. And that’s because it’s at the core of what we do and has been, since our humble beginnings in a living room back in 1989. We’ll continue to speak out about the link between involuntary exposure to environmental toxins and breast cancer. We’ll keep pushing the conversation so more people talk about how prevention is closely associated with the health of the environment. We’ll continue to push back against corporations that claim to value women’s health while simultaneously manufacturing and distributing cancer-causing chemicals and products. And we’ll keep calling out pharmaceutical companies for dumping carcinogens into the environment while profiting from the exorbitant and skyrocketing cost of the drugs used to treat the disease. We’ll keep doing the work because that’s what Judy would do. She was right. We need to end this damn breast cancer epidemic and change the conversation because we’re just as sick of the fluffy pink images associated with breast cancer today as she was nearly 20 years ago. It’s the fight that keeps the ship erect at sea and I think that’s my definition of winning. Without those willing to continue that fight through the generations, the ship will capsize and we’ll all go down. ← Double your impact. Donate today!